Single-use plastic and paper pervade our life: a latte, a take-out lunch, a quick snack from the local co-op, a cocktail at a picnic. We’re all complicit in this because a few cups here and there don’t seem like a big deal, right? Wrong. Data from the EPA show that Americans generate over 251 million tons of trash a year, with paper constituting 27% and plastics coming in at 12.7%. Most importantly, of that 12.7%, 7 million tons of plastic are from disposable cups and plates alone! The EPA successfully recovered/recycled 87 million tons of trash in 2012 (no small feat, to be sure), but because recycling is energy intensive and often pricy, it’s much more important to find ways to reduce waste at the source… which is us! It can be a challenge to fight against our ingrained throwaway mentality, but there are lots of benefits to choosing reusable lunch boxes, mugs, and utensils as often as possible. Bringing your own containers might seem weird at first (and you might get a few looks from your coworkers). But it can be healthier, cheaper and help you drop your trashy habit of single-use food containers. 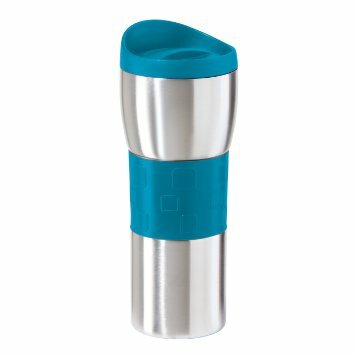 sip in sustainable style with a stainless steel mug for your coffee or tea. The easiest place to start? Begin using a reusable mug for your morning beverage and a water bottle for your hydration. Whether you choose fair-trade coffee or organic tea, your personal mug will keep your beverage warmer/cooler, will show off your sparkling personality, and will easily transport on your bike or car. Find mugs and water bottles of glass or stainless steel from thrift stores or splurge on some eco-luxury brands like HydroFlask. Most cafes offer a small discount for your drink when you bring your own mug. Doesn’t seem like much, but if you drink coffee each day for a year, that’s $36 of savings. When you’re ready to take the next step, choose a reusable container for your meals. 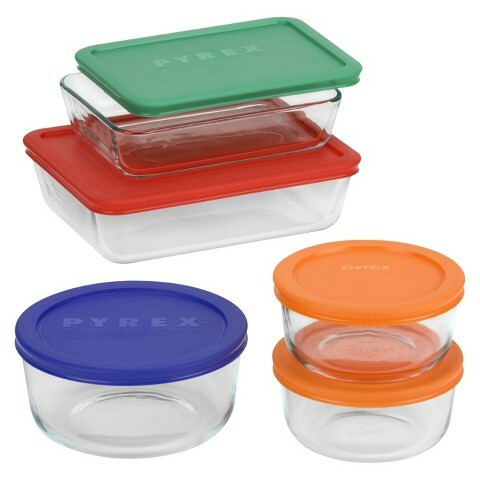 The best option for carrying food to work and school are stainless steel or glass containers with tight fitting lids. Both glass and steel are safer than plastic, they transport safely, and don’t contain harmful chemicals like bisphenol A, styrene, vinyl chloride, and phthalates, which are all often found in plastics. If you don’t feel like splurging on new containers, simply reuse the jars and containers you already have at home until you find the ones that work best for your lunchtime solutions. You will also be feeling better too, as studies show that homemade food of any type is a healthier option than restaurant food! This action has a small upfront cost, but offers important benefits for a healthier lifestyle and decreased waste. Carrying your own food and beverage containers around town might seem a bit wacky, but once it becomes a habit it’s hard to go back to formerly wasteful ways. You’ll also be flying your sustainability flag high, and inspiring others with your super conscious choices.